When I first got to Black-point Wildlife Drive at Merritt Island National Wildlife Refuge in Titusville, Florida the sun was still behind a bank of cloud. 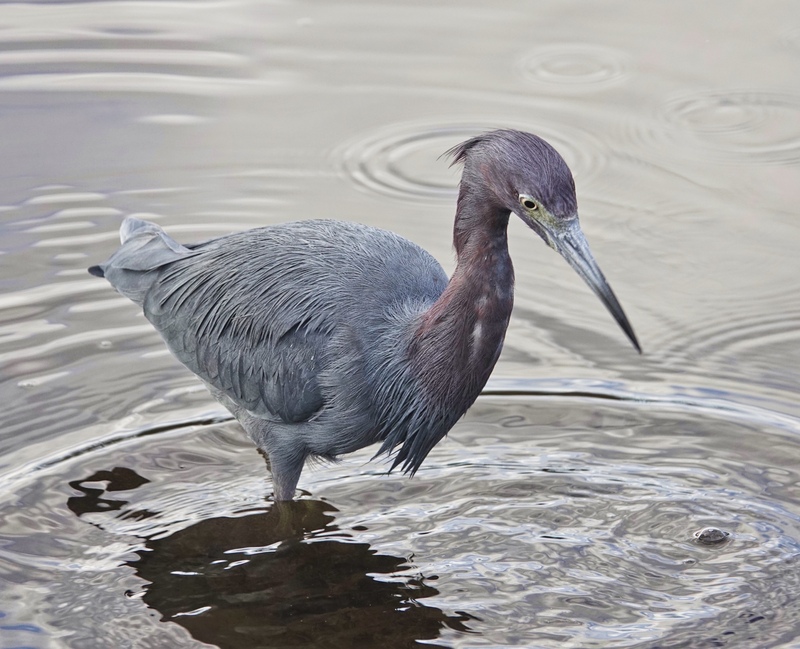 The soft light was idea for capturing the more subtle tones of the wading birds, like this Little Blue Heron, which was actively feeding close up against the bank of the dyke road. Though it is called Little Blue, to my eye there is no blue on it. It is a purple and purple-tinged gray bird, and one of my favorite waders…but then, I like all the common Florida waders 🙂 Sony RX10iv at 560mm equivalent…so close I had to zoom back a bit to fit it in the frame. My birds and wildlife modifications to Program mode. 1/250th @ f4 @ ISO 160. -.3EV. Processed in Polarr.